LE: What should the Leading Educators community know about you? MRI: I am always looking to improve. This starts with personal improvement but then extends to other things in my life. I am a consultant by nature and always start with the question, “How can we make things even better?” That’s the spirit of our growth value at Leading Educators, and I am excited to continue exploring how that commitment to building on strengths can lead to better experiences for students and families every day. LE: You have worked in education for your entire career from many vantage points. What is the most influential lesson you’ve learned from an educator along the way? MRI: I learned that despite our best efforts, systemic inequity still exists. It will take more than just teaching everyone well for students to overcome systemic barriers. As leaders in education, we must acknowledge that parts of our system are built to favor one group of students over another. Acknowledging this is the first step, then we need to search for, and implement, solutions that support all students to reach for their personal best. LE: In your personal story, there are many connections between family and education. You spent a lot of time as a child with your grandfather who was a school principal, and you now have four children of your own. What have those experiences taught you about the kind of education every family should be able to expect for their children? MRI: I was raised by generations of great educators. They are award-winning teachers and principals who have gone above and beyond the call of duty for their students. I can cite examples of how each of them looked at the individual children in their classrooms, searched for their individual strengths and needs, and then adapted their own professional skills to best support each student. Raising my children, I discovered that this professional practice demonstrated by members of my family are rare. My hope is that more educators will work to see each child as a unique bundle of potential that they will work to help blossom. LE: You are person with many interests in addition to education, and we have a handful of rapid questions to scratch the surface. Are you game? LE: Who is that teacher you will never forget? MRI: My middle school English teacher. She challenged me to write an essay on advocating for civil rights. She showed me that she believed in my ability to persuade through the pen and then supported me to refine my message. I appreciate her encouragement and hope that I can inspire others as she did for me. LE: What’s the best book you’ve ever read? MRI: Jacob’s Ladder: Ten Steps to Truth. It's a fun, easy read, covering heavy stuff. I love philosophy! LE: Who’s someone who inspires you? MRI: Dr. Martin Luther King. He bravely chose the hard road--non-violent, direct action--to challenge our nation to turn away from systemic racism. LE: Where’s your favorite place in the world? MRI: Jamaica. It’s my family’s happy place. LE: What are three things you can’t live without? LE: What are you most proud of in life so far? MRI: My four kids. Each one of them brings a distinct set of gifts to our family and community. M. René Islas, who has been a lifelong champion of expanding educational opportunities for all students, joins Leading Educators as the organization’s new Chief External Relations Officer (CERO), CEO Chong-Hao Fu announced. The grandson of a school principal, Islas remembers learning the value of education from around the time he could talk. “My grandfather taught me that in order for students to learn the content they need to pursue their dreams, they need strong relationships with skillful teachers who care about them and believe in the great things their students will achieve. Throughout my career, I’ve been driven by a commitment to create the best school environments where teachers and their students will thrive,” Islas shared. Islas has spent much of his career navigating the government, nonprofit, and consulting sectors to build coalitions of support around the issues most critical to advancing educational equity. Most recently, he was the Executive Director of the National Association for Gifted Children where he led efforts to increase public awareness, change policies, and improve educator practice in support of advanced learners, especially the most vulnerable students who are historically underrepresented in gifted and talented programs through initiatives including the Giftedness Knows No Boundaries campaign. Previously, he served as the Senior Vice President at Learning Forward, a nonprofit education association focused on building the capacity of leaders to establish and sustain effective professional learning, and as Chief of Staff for the Office of Elementary and Secondary Education in the U.S. Department of Education. As CERO, Islas will lead a robust strategy to expand supports for districts and teachers to eradicate within-school equity gaps in pursuit of universal college and career readiness. “René brings a wealth of leadership expertise to our team, and he has helped make big things happen throughout his career to advance student outcomes by improving access to excellent educational opportunities. Whether it was leading a coalition to create the Teacher Incentive Fund within the U.S. Department of Education by the U.S. Congress or launching thriving consulting businesses at Learning Forward and B&D Consulting, René has taken on innovative leadership challenges that have contributed to the broader education sector,” Fu shared. “I am excited to join the powerful team at Leading Educators that is reinventing professional learning to support effective teaching for students from all backgrounds,” said Islas about the work ahead. Kelvey Oeser recently joined Leading Educators as the first Chief of Networks. Throughout her career, she has worked with diverse communities of educators to spark wide-reaching school improvement. Here she shares about the experiences that have shaped her leadership and her vision for the journey ahead. LE: Hi, Kelvey. What an exciting time! For those in the Leading Educators movement who are meeting you for the first time, tell us a little bit about yourself. KO: Hi! I’m excited to join this collective effort in a new capacity. I have been in this work of helping schools and school systems improve opportunity for the past decade. As a result, I have developed some deep beliefs about what it will take to achieve more equitable outcomes for all kids. First, people are our most valuable asset. The work we do will only be successful if we develop and grow leaders at all levels of education. We have to take care of our people, build strong relationships with each other, support people to do their best work, make the work fun, and allow people to lead by building trust and giving people ownership and autonomy over their work. Second, diversity and inclusion is critical to achieving equity. We have to build strong, diverse, and inclusive cultures in order to have within-school and within-system equity, and to achieve more equitable outcomes for kids. We need all perspectives to be heard to make shared ideas and our solutions better, and we especially need to amplify perspectives within the communities we exist to serve. We need to foster inclusive culture in order to develop, retain, and promote diverse leaders over time. Third, communities and context matter. Organizations like ours should be partnering with communities and not doing work to communities. We will only be able to achieve stronger outcomes for students, and ensure these outcomes are sustainable over time, if we are really listening to and working with communities to ensure the work responds to their needs and contexts. We need to understand the factors that drive their long-term investment in and demand for this work to continue over time. Education nonprofits and district leaders come and go, but the community always remains. LE: You’ve been an educator for a long time, and you have also supported the growth of thousands of educators in a variety of contexts. What have you learned about what educators want and need to be their best selves? KO: Teaching is hard. I learned that first-hand as a middle school teacher in East Los Angeles, and I have re-learned that fact many times in my roles designing training and development for teachers. There isn't one answer to what it will take to improve instruction at scale. I have learned many hard lessons about things that don't work as the "silver bullet" for supporting and developing teachers. Working at TNTP with a focus on teacher development during the release of The Mirage was an especially humbling experience. It required me to confront and reconcile my work with report findings which showed that almost all of the teacher development efforts districts are currently implementing don't work. I have learned that teachers can't do everything that is currently being asked of them really well, sustainably, and at scale, especially with the additional content knowledge and rigor that is required by Common Core-aligned standards. We have to find ways to make this work easier for them and not harder. The answer cannot be piling more stuff on a teacher's plate or to just recruit and select more "superstar" teachers who can somehow do it all. Providing teachers with higher quality, more rigorous instructional materials and then aligning all of the training and support they receive to the materials they are expected to use is just the beginning of making teaching easier and more effective. That is one of the big reasons I was drawn to Leading Educators. I also believe the teacher mindset work we do at Leading Educators is critical. I have seen teachers struggle--and I struggled as a new teacher--to put more rigorous content in front of students because of unconscious bias about what students are capable of doing. Teachers sometimes lower expectations for students over time, and there is a tendency to hold onto problematic beliefs about what teaching can and should look like. As a new teacher, I thought my role was to do everything possible to help my kids “get it”, and I was scared to let them struggle too much because they might fail. Of course, now I know that wrestling with content is part of learning. I also believe we need to be thinking about other models for the teacher role, ways we can be better utilize technology and personalized learning, and ways we can restructure school and district support systems to more substantially change the way teaching and learning happen in schools. I’m excited about LE's ongoing work around enabling conditions and upcoming partnerships that will explore the intersections of content-based professional learning, technology and personalized learning. LE: You have another important role in life as the mother to Elias and Abigail. As a parent, what’s top of mind for you when you think about the kind of education every child deserves? KO: Having kids definitely gave me a new perspective on the education system. Every time I walk into a classroom now, I ask myself: "If this was Elias's or Abigail's classroom, would this be okay?". And, unfortunately, too often the answer to that question is "no", which breaks my heart and increases my urgency for the work we are doing. When I was first looking for daycare and pre-K options for Elias, I chose to enroll him in a private Montessori-based program. I didn't know much about the Montessori approach at the time, but after doing several walk throughs of local daycare facilities and asking a lot of questions of the teachers and program leaders (that were likely way more detailed than they usually get from parents), I picked the Montessori-based program because it was the only place where I felt the school leader and teachers could clearly define what they meant by "focusing on the whole child". They could articulate a clear and detailed continuum of learning from the earliest developmental stages. They were aligned to some of the most important outcomes that I wanted for Elias which included that he learned to love learning, learned independence, and learned how to operate successfully in school as well as life. After going through this process with Elias, the reality of the opportunity gap in education became so much more real to me as I recognized how privileged I was to be able to access and afford a daycare that aligned with what I most wanted for Elias's longer-term education. So many parents don't have that choice. I also began to see how different my vision of the education I wanted for my own kids was from the schools and classrooms we were often holding up as "exemplars" in the teacher training that I was helping to design and implement. This experience led me to do two things. The first was to join the board of a newly formed organization called Montessori for All, which is an Austin-based, public charter management organization. They seek to open and lead free, high-performing, authentic Montessori schools that partner with families to help children in diverse communities reach their extraordinary potential intellectually, emotionally, socially, creatively, culturally, and physically, so that they can pursue lives full of meaning and joy. The second is that I began on a journey to better align my work and to a vision for instruction and student outcomes that more closely reflects what I want for my own kids. To be clear, I don't think that the Montessori-approach is the only vision for what great instruction should look like. But I think there are elements of the approach, especially the clearer and more holistic definition for student outcomes, that all parents want for their kids and therefore that should be driving how we train and support teachers. LE: We know you bring many other experiences and and interests with you in your daily life, so we’re going to close with some rapid questions. Are you ready? LE: Describe yourself in a hashtag. I had to phone a friend for this one. She recommended #introvert because I'm kind of an introvert. I am exhausted by small talk and large group facilitation, and I get a ton of energy from building deep relationships and having purposeful conversations. However, I also really enjoy and am motivated by spending time building, expanding, and deepening my network of friends and colleagues. LE: If your life was a book, what would it be called? KO: Cycling Your Way Through Zoom Calls: The Kelvey Oeser Journey. I have a desk bike, and my remote LE team members will likely see me rocking back and forth on a Zoom call soon. KO: The front deck of my house in Austin. We built it a couple of years ago, and I love going out there in the evenings to sit, listen to music, drink a glass of wine, talk with my family, read a book, say "hi" to the neighbors as they go on evening walks, watch the kids ride their bikes, and watch the sunset. KO: Both, I am a caffeine addict, and I find drinking hot drinks comforting. I drink coffee all morning, and then I switch to hot tea if I need something relaxing and less caffeinated to drink in the afternoon or evening. KO: Do people count as a "thing”? If so, my family is definitely first on my list. Then, my dogs. And, finally would be a good book. Just don't ask me to pick which one. LE: Most adventurous thing you’ve done in your life? KO: I've never done anything too extreme in terms of adventures. My husband and I went ziplining in Costa Rica when we were on our honeymoon, which was pretty fun, extremely beautiful, and also a little scary. We're about to go back to Costa Rica for my birthday in March, and I'm planning to learn how to surf, so I will be able to add that to my adventure list. Raye Wood is a teacher leader at Burton Elementary School in Greater Grand Rapids. She is entering her thirteenth year in the classroom, and she completed her Doctorate of Education last spring. She is a huge advocate for amplifying teacher voice and often blogs about her experiences in the classroom and beyond. Wow. Where do I begin? How can I share with you—through mere words—the energy, the passion and the thirst for change that was the Leading Educators Institute? I am changed in a way that I did not realize I could still be changed, and I expect that I will be forever grateful. I’ve been in the classroom for twelve years, and I am hardly new to professional learning. But in just a few short days, I experienced a new kind of learning that challenged my perspective, changed my expectations, and validated what I know our students need. How amazing is that? My school was part of the first Leading Educators cohort from greater Grand Rapids. Having finished my first year at our school as well as the intense process of writing a doctoral dissertation, I joined our school team this spring and attended LEI with the new cohort. So, there I was with a group of people, many of whom I had never met, walking into four absolutely life-changing days. This group of new friends validated the beliefs I hold and walk with daily, they challenged some of those beliefs with great care, and they helped me stretch my perspective and ways of thinking. Because of them, I am more reflective, more passionate, and even more dedicated to the work I do every day. Every teacher deserves that gift. Because my colleagues began leading Leading Educators’ model of content learning and practice at our school last year, I came into the week with the experience of a teacher who has seen the end result of LEI first-hand. Though, I had already experienced Content Cycle protocols and workshops last year, I gained a deep appreciation for the work having experienced the planning process at LEI. Everything I was unclear about before burst forth in one large A-HA moment. That in and of itself is powerful. Now, as a “Lead Learner”, I can’t wait to use my content knowledge and passion alongside my colleagues to make our school more equitable for every single child who enters our doors. We had some absolutely amazing guest speakers. At times, I was moved to tears (in my eyes as well as on my cheeks if we are being totally honest) because I see the mistakes so many of us have made with the best of intentions. I often say, “You don't know what you don't know.” And LEI showcased some of that. Our keynote speakers admitted to having made mistakes because we all do. Imagine standing before an entire room of educators and admitting that you helped perpetuate false narratives around students of color. That takes serious heart and vulnerability, and it pushed all of us to own our impact. Dr. GT Reyes noted that you don't have to be the teacher of the year to make a difference, and it made my heart sing. I look back at my first few years of teaching from my current vantage point and I can see the mistakes I was making. At that time, I used the knowledge that I had and did what I thought was right (Leveled library, anyone?). Once you know you are making the wrong moves and you work toward changing them, you are growing. It is when you know you are making wrong moves but you keep doing what you've always done that we have a problem. We have to be willing to be uncomfortable. We have to be willing to push through that discomfort because it is what will fuel the most important shifts in our practice. Truly, it's hard for me to fully express how much I appreciate the opportunity to experience LEI in this way. And now when I go back to my school in August as a “Lead Learner”, I'm going to work hard to remember that many of my colleagues don't have the benefit of having the "back story" of the work we are trying to do. I'm going to push for our team to really take a step back for a moment and re-invest ourselves in the bigger picture. To do our best by students, I fully believe that we have to work together in a way that pushes our thinking, challenges our biases and the false narratives we have inadvertently carried with us, and strive to make education truly equitable for every child regardless of their status, ethnicity, gender, race, welfare, or zip code. Together, I am certain that we can improve education for all kids. After nearly eight incredible years at Leading Educators, CEO Jonas Chartock has decided to open the door to new leadership this September. Jonas is proud of all that the Leading Educators community has accomplished, having grown from a single pilot program in New Orleans to becoming an innovative learning and systems design partner of districts in twelve geographic areas. Under his leadership, educational equity and collaborative teacher practice have become more deeply ingrained in the programmatic approach--shifts that have helped districts reach record student growth. As a new father, Jonas is excited to spend more time with his family and pursue new opportunities tied to his deep passion for racial equity and social justice policy and activism. We believe the team at Leading Educators is well prepared to build on ten years of collective progress, and we have chosen Chong-Hao Fu as an internal successor who brings both a deep understanding of our programs and strong relationships with leading districts to this effort. Jonas will continue to serve as CEO through early September. We look forward to re-introducing you to Chong-Hao and our strategic plan in the coming months. Leading Educators has always been about collective leadership. We have worked to be a model of the distributed leadership we expect from our school partners, and our culture reflects that nimble, collaborative approach. As we enter this next chapter of our story, we know we are about to see many decades of districts producing their best teaching and learning yet. We thank you for your continued partnership in service of all students. Jonas Chartock, who joined Leading Educators as the organization’s first CEO in December 2010, will be leaving his role this September. Chong-Hao Fu, Leading Educators’ current Chief Learning Officer, has been unanimously chosen by the board of directors as Chartock’s successor. As Chief Program Officer and Chief Learning Officer, Fu has led innovative shifts in districts’ teacher and school leader development strategies which have produced accelerated growth in student’s math and English language arts knowledge. Fu has been with Leading Educators for six years and currently manages partnership, district consulting, development, and thought leadership efforts. 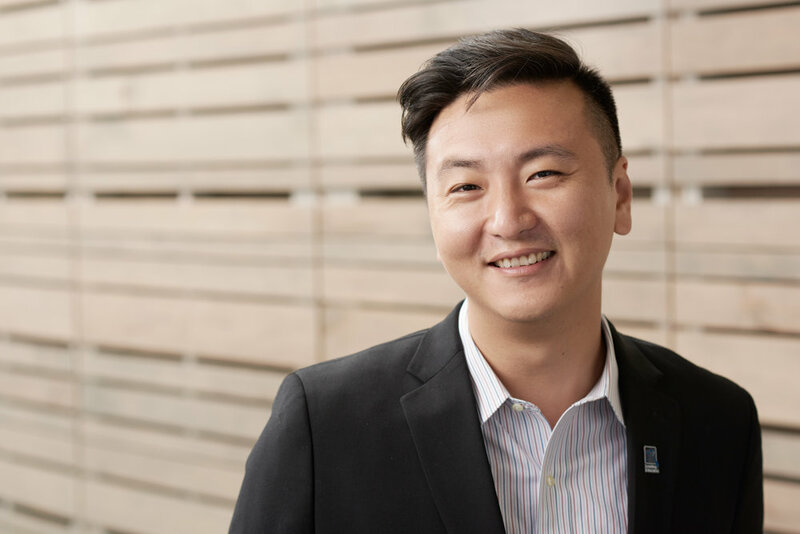 Before joining Leading Educators, Fu was the founding principal of KIPP Sharpstown in Houston, TX, one of the highest performing schools in the city and one of the few fine arts schools dedicated to serving lower income students. During the transition, Leading Educators will be launching new programs in Tulsa, Chicago, and New Orleans that will directly serve approximately 215 new teacher and school leaders. Partnership teams worked with 730 teacher leaders nationwide in the most recent academic year, influencing 2,920 peer teachers and 73,000 K-12 students. As a new father, Chartock is excited to spend more time with his family and pursue new opportunities tied to his deep passion for racial and education equity and social justice policy and activism. “This organization has never been about one person or leader, and Jonas and Chong-Hao have done an incredible job of building a culture of shared progress that will only grow stronger,” said Stuart Kaplan, Board Chair at Leading Educators and Director of Organization Development at Google.